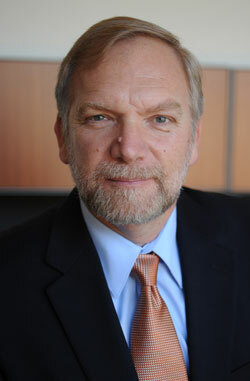 Professor Zoran Filipi is Chair of the Automotive Engineering Department and Executive Director of the Carroll A. Campbell Graduate Engineering Center at Clemson University ICAR. Prof. Filipi also serves as the Timken Endowed Chair in Vehicle System Design since 2012. He came to CU-ICAR from the University of Michigan, where he was the director of the Center for Engineering Excellence through Hybrid Technology and the deputy director of the Automotive Research Center, a U.S. Army Center of Excellence for modeling and simulation of ground vehicles. Prof. Filipi received his Ph.D. in mechanical engineering from the University of Belgrade in 1992. His main research interests are alternative and hybrid powertrain systems, advanced IC engine concepts, and energy for transportation. He is the recipient of the SAE Forest R. McFarland Award, the IMechE Donald Julius Groen Award, and the U of M Research Faculty Achievement Award. He is an ASME Fellow, SAE Fellow, member of the SAE Executive Committee for Powertrains, the former Chair of the SAE Advanced Power Sources Committee and Editor-In-Chief of the SAE International Journal of Alternative Powertrain. In January 2014, Filipi was featured on a Voice of America broadcast about automotive technologies including advances in IC engines and fuel cells. To view the broadcast, click here.